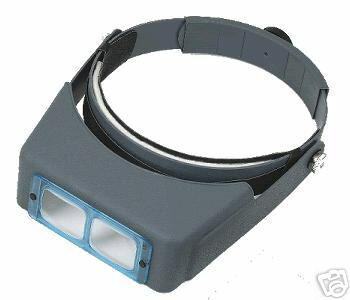 Optivisor - Dan Scott and Associates, Inc.
Optivisors are binocular magnifiers which are mounted on padded headbands and offer the user the ability to examine objects under various levels of magnification without the hindrance of holding a magnifying device. Lenses are ground and polished to ophthalmic standards and Optivisors adjust to accommodate all head sizes. The lens plate tilts up when not in use. In addition, Optivisors may be worn over prescription glasses or safety goggles. Each Optivisor comes with one magnification plate of your choice; additional plates may be ordered separately. An opiloupe is an additional accessory which is available, providing an additional 2.5x magnification when mounted on the headpiece.